Is This the Perfect Men's Travel Wallet? Nobody loves having a massive, over-stuffed wallet at the best of times, but it’s even worse while traveling. Not only does the endless supply of ticket stubs and receipts threaten to blow your wallet apart at the seams, but having a huge bulge in your back pocket is just asking for attention from pickpockets and thieves. With my existing wallet falling to pieces, BigSkinny offered to send out something better to use on my next trip. Here’s how it fared. Big Skinny makes a range of wallets and card holders, with one underlying similarity: they’re all super-thin. Boasting of a 50+ percent reduction in both weight and thickness over other wallets, the idea is that you can still carry all the essentials with you without looking like Seinfeld’s George Costanza. I’m a bi-fold wallet kind of guy, so I settled on the Leather Hybrid World Bi-Fold Wallet. The company also offers tri-fold models, as well as several with RFID-blocking material built in. True to name, the Big Skinny World Bi-Fold was, well, both big and skinny. A four by four inch square, it was taller than my previous wallet, and I was initially concerned it might be too large for my pocket. As it turned out, however, the reduced thickness compensated for the extra height. The wallet fitted easily into the front and back pockets of both shorts and jeans, even when full, with noticeably less bulge. The advantage of that extra height quickly showed up when I loaded a range of different currencies into the billfold section. Several countries use notes much larger than US bills, and I’ve needed to fold them along either or both dimensions to get them to fit in previous wallets. Not so with this model – everything from Sri Lankan rupees to Guatemalan quetzals, Vietnamese dong to Maldivian rufiah fitted without a problem. That billfold section is divided by a thin slice of fabric, which I always prefer -- it makes it easy to separate different currencies, or keep receipts and other paraphernalia separate from your money. Slim wallets I’ve used in the past often achieve their thinness by only having card compartments on one side. The World Bi-Fold offers four pockets on the left-hand side and three on the right, one of which is see-through for driver licenses or similar. That was more than enough for me to fit all of the cards I travel with, but there’s no reason you couldn’t double-up if you needed to. There are also full-height hidden pockets behind each row of compartments if you need them. Coins are always a hassle when traveling. In some parts of the world it’s easy to end up with a large handful of them after a day exploring the city (Australia and the UK, I’m looking at you). They’re often worth too much to ignore, but dropping a dozen coins or more in most wallets makes them very bulky. The World Bi-Fold can’t work magic with those large hunks of metal, but it does what it can. There’s a separate, zippered section on the back that runs most of the wallet’s height, and as long as coins don’t lie over top of each other, they don’t add much bulk. It’s not all that easy to extract individual coins, though, so you’ll likely find yourself tipping them out into your hand to find the ones you need. I really liked Big Skinny’s World Bi-Fold, and it’s now my wallet of choice both around town and on the road. It’s stylish, functional and, so far at least, shows no sign of wear. 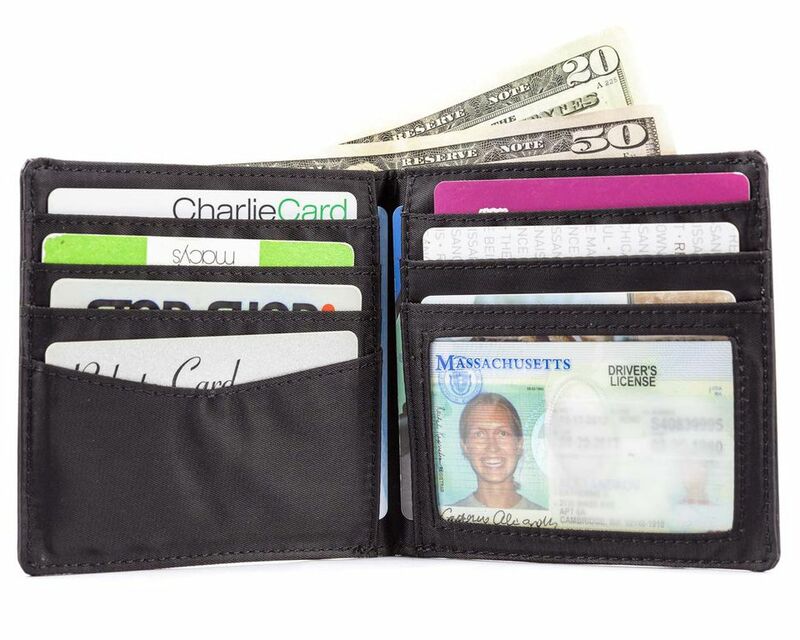 If you’re looking for a slim, well-designed wallet for your next trip, this is a great option.